A third-generation Napa Valley native raised in a farming family, David Abreu is a California rancher who knows how to coax the best from the land he farms. Spending his youth working in Napa’s original vineyards, David honed his skills and developed an intimate knowledge of the valley’s diverse winegrowing terroir. 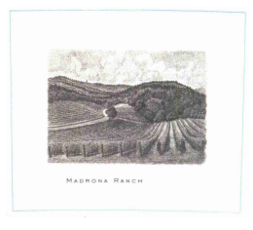 Over time, his gift for recognizing exceptional sites led him to four distinctive vineyards that comprise the core of Abreu: Madrona Ranch, Thorevilos, Lucia Howell Mountain and Cappella. Meticulously maintained, their sculpted form bears David’s unmistakable stamp, each producing distinctive fruit that can only come with an uncompromising commitment to quality. With each harvest one hundred barrels are whittled down to 12,000 bottles of wine – four single-vineyard Cabernet Sauvignon blends that reflect a lifetime of hard work, passion and conviction. Some people shook their heads. Wondered why he went to such lengths. But it's the same approach he takes in the vineyards. He just does what he feels, in his gut, is right. He's done it that way for 30 years now.